And then one by one, we graduated, not knowing but hoping that we were prepared to conquer the inevitable challenges of adulthood. I ran around Atlanta trying to get somebody to hire me at their company and chasing rappers and actors…I was surprised and maybe a tad ashamed when my line sisters started getting married and acting like adults because in many ways, I still felt like I was a child. Living with my parents until I was 28 years old didn’t help. Lola got married in 2001, and I was so happy that she had found someone that would maneuver the maze that is life with her. They became parents to a son not too much longer afterward. Adulthood looked good on her as just about everything did. And then breast cancer took a swipe at her. In 2003, she was diagnosed with breast cancer for the first time at 28 years old. The 20s were not supposed to be for breast cancer. Breast cancer was supposed to be a challenge for women in their 40s and beyond. But one of adulthood’s lessons is supposed to be is far less common than what actually is. But a mastectomy later, we were all convinced that Lola was fine. At least that is we prayed for. Statistics are just numbers until they play out in your life. According to the American Cancer Society, one out of every eight women will grapple with invasive breast cancer. Unfortunately, this statistic proved to be true for my line sisters. 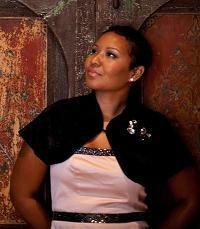 Our line sister Kimberly Hudson Causby died in May 2005 due to breast cancer. If we didn’t know before, we certainly knew by then the carefree college days were over. It was a big and distasteful dose of adulthood that we had to swallow and digest. 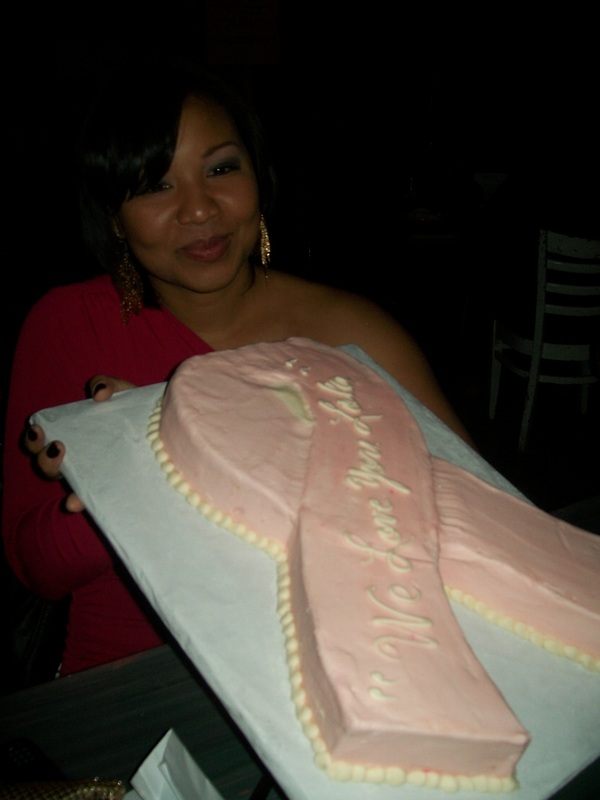 And then six years later, a year AFTER the percentage of recurrence supposedly drops, in 2009, at 34 years old, my line sister Lola would have to square off with breast cancer yet again. This time, though, Lola would not be just a breast cancer survivor, she became a breast cancer champion. 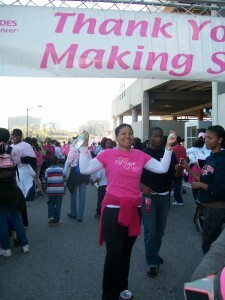 From Maryland, she organized her supporters, friends, sorors and line sisters and got us to walk with her in the Making Strides Against Breast Cancer Walk in Atlanta in October 2010 although she was still completing her treatment. We honored Kim and we celebrated Lola! She had warred with breast cancer twice and only managed to become even more beautiful! Celebrating Lo at Loca Luna…Isn’t that cake beautiful?! 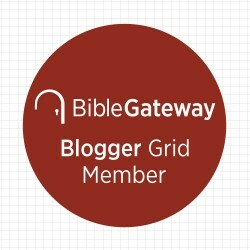 The Sisters’ Guide to Developing a Personal Relationship With God.” I wanted to interview black women from varied backgrounds and experiences about their encounters with God. I knew I had interview my line sister because I knew her story would be a testament to the best of human strength born in Lola and the infinite and supernatural strength of God. She allowed to me to probe and maybe even pry until we crafted a story that would be permanent evidence of her victory. Now, the day after she has departed, the conversation that became a story is even more poignant. In October 2011, Lola organized all of us again and traveled back to Atlanta for us to take part in the walk for the second time. I was also in the midst of promoting my book, and I had scheduled Lola to be interviewed by Soror and Television Reporter Blayne Alexander of 11 Alive News. Lola was delighted to be interviewed and share her story during National Breast Cancer Awareness Month. Again, a day after she scraped off her earthly clay to allow her heavenly spirit to shine through, I am so thankful that her story was captured on a screen. In February 2012, my book was released and Lola flew down to come to my book release party. Just seeing her and many of my line sisters celebrating one of my most cherished dreams finally becoming a tangible reality was a memory that will always warm me even on my coldest days. None of us knew that cancer, the gluttonous beast that it is, was waiting to attack my line sister yet again. A few months later, Lola told me the cancer had returned, but it was no longer breast cancer. It had metastasized to other parts of her body. I cried and prayed. If I were a perfect Christian, I guess I would have been free of fear, but I’m not so I wasn’t. But I never imagined her dying. I just continued to pray. I asked my church to pray. After a few months and various treatments, she told her tumors shrank by 50 percent! 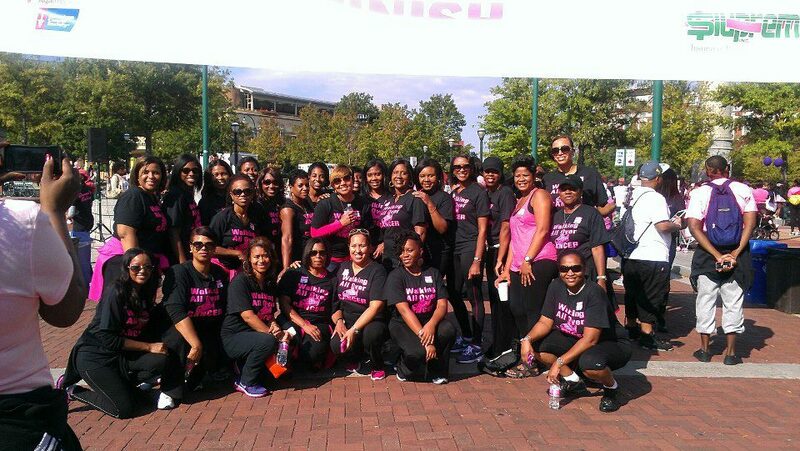 And in October 2012, Lola and her Brown’s Babes as she named us in 2010 assembled ourselves together again for a third Making Strides Against Breast Cancer walk. Twelve years after Lola got married, I finally felt grown and grounded enough to take care of and be taken care by a husband. Most of this year has been devoted to wedding planning. I checked on Lola periodically and concluded that she was indomitable as she had been for 10 years, particularly when I received an invitation for the Making Strides Against Breast Cancer Walk for this very month. This time, however, Lola opted to take part in the walk in Charlotte, North Carolina instead of Atlanta, Georgia. She told us it was because the walk in Charlotte was closer to home as she had moved back to South Carolina, her home state. I wasn’t sure if I would be able to make it because of some professional obligations here in Atlanta, but I told her that I sent in my donation in her name. Last week, a week as of yesterday, as I wrote my check, an ugly thought invaded my consciousness. “What if this is the last opportunity I will have to see her?” But I relegated that thought to the outskirts of my mind and mailed my donation. Lola thanked me for my contribution and I went on with the ordinariness of my day convinced that extraordinariness warns like a train horn when it is about to appear. As of yesterday, less than a week after the Making Strides Against Breast Cancer walk in Charlotte on Saturday, I now know that extraordinary had warned me but in my humanity did not perceive it. All day yesterday Jackie, I couldn’t get it together..I cried all morning with a feeling of impending doom…I had a conversation on Monday with a friend that made me morn Lola even before her transition…I finally decided not to go to work and rested forthe remainder of the day…now still struggling this a.m., you writing is ALWAYS so colorful and puts me in the best of moods..making me remember her FIGHT and not her pain. I feel incredibly blessed to have had an awesome sister-girl friendship with one of the awesomeEST spirits that ever walked the planet. Thank you for a beautiful story, so glad to have smiled because of you…and LOLA. WOW LS. This is such an awesome tribute. I was floored just now at the sound of Lola’s voice and scrolled down the page frantically to see where it was coming from. I watched the interview clip twice and have re-read your tribute as well. This reality is still so unreal to me. I too felt an urging in my spirit during the last 3-4 days especially, that I could not ignore, so I called, FB and reached out to Lola to hear her voice one last time to no avail. I dismissed that she would die. I cast that thought down. I simply said she’s not feeling well, but she’ll get better. She did get better and received her ultimate healing in our Everlasting Jesus and was with Him the very moment she transitioned in her fully healed and fully glorified spiritual body. She has made a lasting and eternal footprint on this earth and I am just blessed and honored that we had 20 years together. RIP Perfect 10. RIP – You STILL Got That VIBE! Thank you, Jackie. This is a beautiful tribute. This is so beautiful Jackie. You have an awesome way of expressing your thoughts in a way that connects with each one of us. 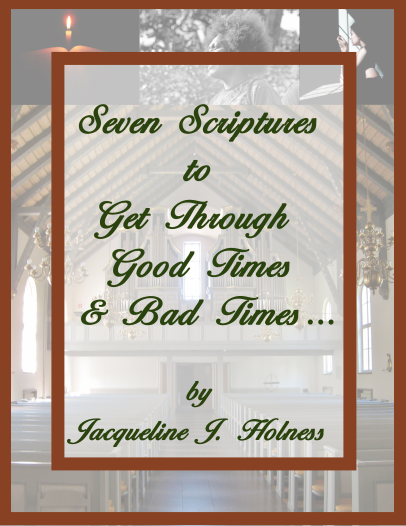 I love the gift that God has given you my author friend and LS. Jackie, this is beautiful and eloquently written. You are all (19 DRS) such talented and beautiful women. To hear this news yesterday was crushing. I’ve cried so many times since hearing of her passing yesterday, and it is still so hard to grasp. Kendra you really nailed it – Lola’s has definately left her enteral footprint on this earth and she has touched soo many. She will be missed. I know she is in a better place now. I loved hearing her voice on the video. Thanks again Jackie for sharing such a wonderful tribute to a wonderful lady. Love each of you..Big Sister Van Gogh! Hugs and Kisses. This is beautiful Jackie. All of you remain in my thoughts and prayers! Such a moving tribute Jackie! I have pledged many pyramids and many lines. 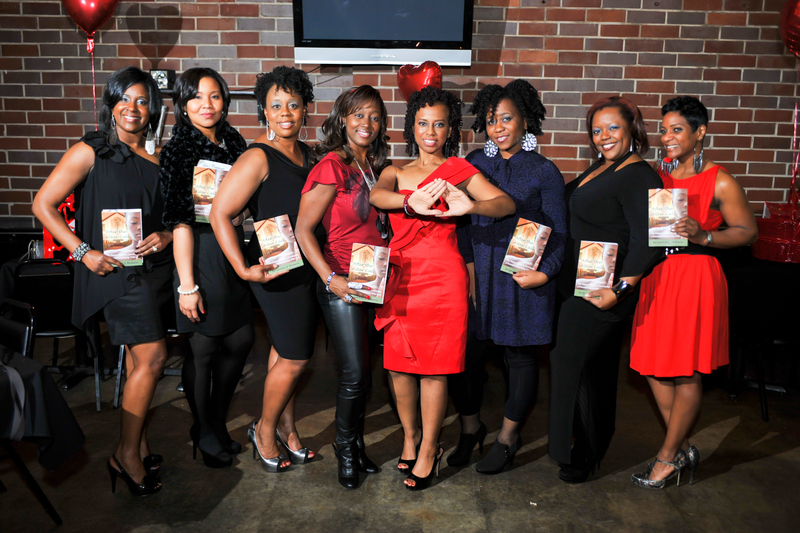 Many Sorors have been memorable, but few entire lines have been as memorable as 19 D.R.S. What I affectionately called the “International” line. Y’all were so smart, beautiful, and “entertaining”. And you all have gone on to become successes in many ways. 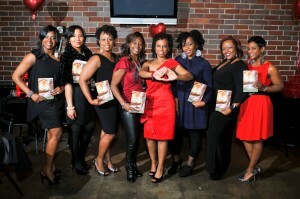 I know how special it is to have supportive line sisters and Lola was blessed to have you ladies ALWAYS in her corner. Lola always made a point to personally thank me for whatever donation I gave. Her life was a blessing to all of us and she will be missed dearly. Thank you Soror Jackie for sharing this beautiful tribute. We will see our soror on the other side. My prayers are with us all. Such a beautiful tribute soror Jackie. My thoughts and prayers to Lola’s Family, friends, sorors and Line sisters. Jackie–this is beautiful! Lola was indeed a “Devastating Reflection of Sisterhood”…I’ve only had the most casual of contacts with her but I have very fond memories of her from UGA and later, chapter events. She touched me as she did many others. My prayers are with us all–family, friend, Soror, casual acquaintance. Soror Jackie thank you for this beautiful tribute to our Soror. My prayers are with you and her family. Thank you so much Soror for such an inspiring and lovely tribute! Lola sounded like a truly amazing woman. Take comfort that she is at peace and is now a guardian angel looking down over her family and line sisters! This is beautiful, Jackie! I am so glad I had the opportunity to walk with you all last year. She was such a sweetheart and will definitely be missed! Fantastic Jackie! Just a great tribute. I remember reading one if not the last of Lola’s post on facebook where talks about an unexpected trip in the ambulance and having a quick thought that this could be serious. I chastised myself for not reaching out to her more. My number, my perfect 10 and then just made a mental note that I needed to donate to the cause and make sure I saw her the next time she was in town. She survived before and would again. She didn’t explain the ambulance trip, so I even tried to convince myself maybe she was supporting someone else. As most probably did, I pushed aside a quiet voice that told me these may be her last days. Yesterday, I got two calls back to back. I picked up the second only to hear my LS in tears as she told me the news. I was at work as I most often am and was in a state of disbelief. The opportunity was lost and all I could be thankful for was that I commented on her post and she “liked” my comment. Life is so short and I missed my moment. A lesson was learned. God Bless my perfect 10. Jackie,this is an absolutely wonderful tribute. It’s so hard to understand His individual plan for each of us. Thanks for sharing. Reading the tribute has helped me so much. Your sister in Greekdom, Kim (Fall 96, SGRho). That was a beautiful tribute. Although I never met Lola, I feel as if I knew her well as a result of your vivid description of her life and her spirit. I am a cancer survivor. In 1996, I was diagnosed with Hodgkins Lymphoma. I was blessed that it was found early and had not metastasized. I went through a year of chemotherapy and had a couple of hospital stays. But, I have now been cancer free (I called it healed) for 16 years. 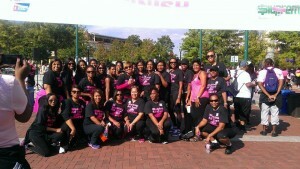 Just 2 years ago, one of my line sisters went through a battle with a very aggressive form of breast cancer. Several of us went down to visit and were able to help her go through the difficult process of shaving her head, as the chemo and radiation had taken a toll on her hair. While this cosmetic state of being bald seems insignificant in the face of a life or death situation, it adds to the psychological toll of dealing with this disease. I was able to share with her and show her that, indeed, hair does grow back. We could affirm for her that she was as beautiful as ever. We were able to offer at least a brief reprieve from what seems like a never ending battle. We laughed, gossiped, and reminisced, just as we always do when we get together. We prayed with her. Just being there for each other in difficult times is so important and is what sisters do. Grieving is something that we do when a loved one transcends from this earth. We are the ones who feel the sorrow. Meanwhile, our loved one is rejoicing and worshiping with the saints who are gathered around our Father’s throne. Can’t you just see Lola dancing in heaven?